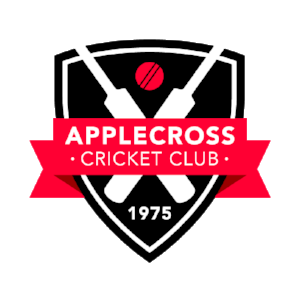 Applecross Cricket Club was founded in 1975 by Aquinas Old Boys who wanted to continue playing cricket after leaving school. Set in a leafy, affluent riverside suburb of Perth, Western Australia, the ACC is the perfect place to play cricket. Applecross playing in the Western Australian Suburban Turf Cricket Association (WASTCA) and have won multiple A Grade flags over the years with continued success throughout the grades to this day. Outside of cricket, Applecross and the surrounding areas has a wonderful array of restaurants , cafes and bars with easy access to public transport. Dunsborough / Margaret River is only a 2.5 hour drive away to world class surfing and wine region of Western Australia. Applecross is lucky enough to have 4 home grounds, one of these being brand new as of 2018 and the first ever turf wicket for the club. Bert Jeffrey Park is the ACCs very own turf wicket located in Murdoch. A lot of work has been put into getting a turf wicket and we are all proud to now have a deck we can call home. The first game at Bert Jeffrey was played in 2018 with the first win at the ground occurring the following week. We hope for many more victories and great memories in the coming years. Winthrop Reserve (aka Winthrop Park) is situated in the quiet suburb of Winthrop. Featuring a recently laid astro turf wicket and a much improved outfield, Winthrop is a beautiful ground to play cricket on, surrounded by tall pine trees on all sides. Set on the river in Attadale, Troy Park is often used by the lower grades at Applecross. A strong breeze keeps everyone cool on the field during the day and the shaded clubrooms ensure you're not sat out in the sun. Another brilliant place to spend your Saturday.